Well, the first theme day of the summer was a success! Everyone rolled out of bed in their most fashionable PJ’s for Pajama Day today. 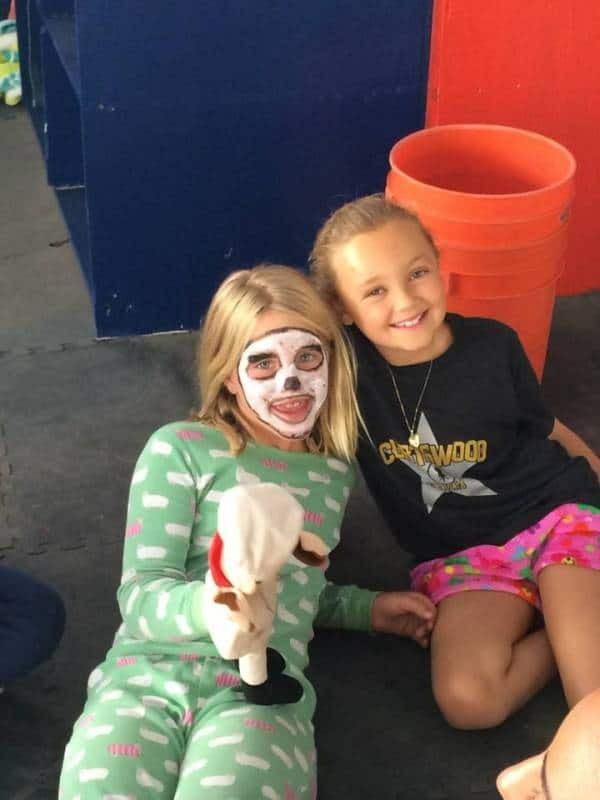 The campers enjoyed activities like Don’t Wake Daddy, Freeze Dance Sleeper Edition, Dreamland Sand Castles, and the Stuffed Animal Toss cabana competition. The Sea Lion Spirit Stick winner, Caitlin, is a shining example of a camper always willing to help others and make new campers feel welcomed. The campers and counselors had such a fun Pajama Day that they will for sure be dreaming about it tonight…zzzzz.